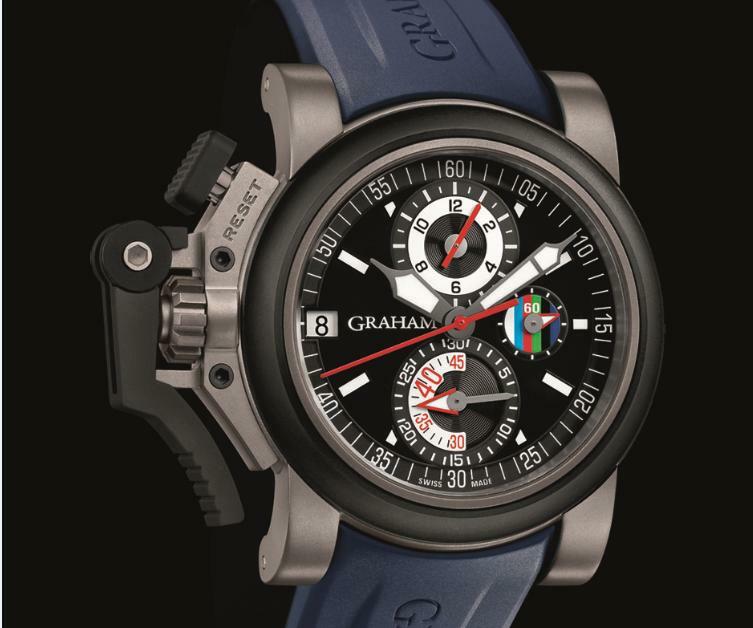 Watchuseek Watch Blog: GRAHAM Oversize Chronofighter Referee: timing the RBS 6 Nations Cup for fourth consecutive year. GRAHAM Oversize Chronofighter Referee: timing the RBS 6 Nations Cup for fourth consecutive year. With the 2012 RBS 6 Nations Championship well under way, GRAHAM is the Official Timekeeper of the 6 Nations Championship for the fourth consecutive year. 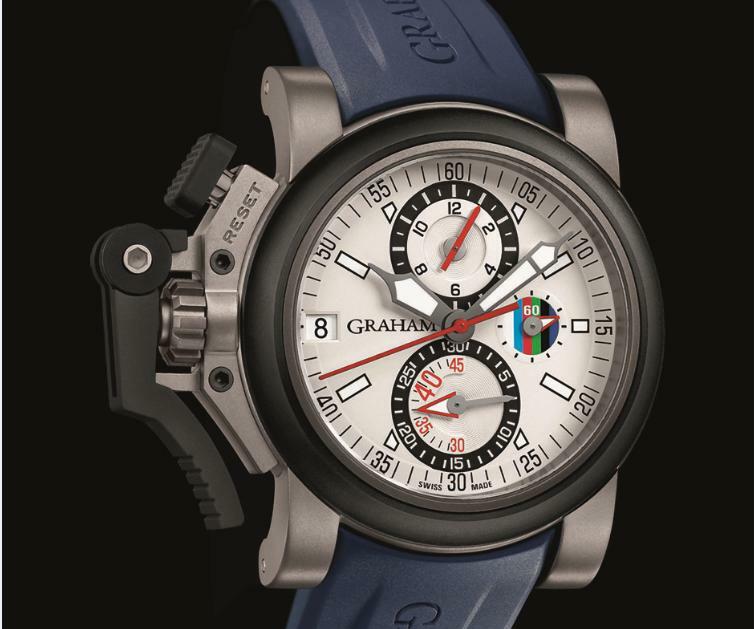 GRAHAM provides all RBS 6 Nations referees with the Oversize Chronofighter Referee chronographs. The Chronofighter Oversize Referee is perfectly suited to the tough and intense atmosphere of this legendary tournament which involves six of the best northern hemisphere rugby nations. The watch features the 6 squads’ colours in the second counter at 3 o’clock. The official logo is also on the case back. As the watch is worn by referees in all matches, GRAHAM developed a specific titanium light-weight case with rubber coated parts. The watch is light to wear and safe. The white dial emphasises the 30 double-graduated minutes counter at 6 o’clock. The movement is a modified Valgrange that displays 3 counters. The minute counter shows an internal 40 minutes graduation which accurately times the halves of each match. The referee can control the match time and operate the watch smoothly using the left drive lever mechanism, something unique to the brand. 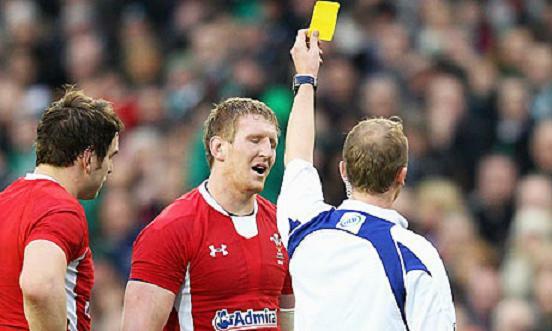 In fact it is so intuitive to use that referees don’t even need to look at it. For 2012, the watch, limited to just 250 pieces, comes with a blue hypoallergenic strap combining precision, readability and advanced materials in one stunning watch. Price is likely to be around $8,700.